Dr. Dan Joseph is a native of Central Illinois and has been practicing in our community since 2001. He and his team, which is made up of doctors, a nurse practitioner, massage therapists and an experienced support staff, provide a broad range of natural health solutions to help you relieve your pain and restore your well-being. With so many healing options available at one location, we pride ourselves on not having to refer you out to get the care you need. If we don’t feel that we’re the right place for you, however, we’ll be happy to refer you to an area practitioner in our professional network. In our comfortable, relaxing environment, our friendly staff will warmly greet you and help you feel at home. Your first step will be a meeting with Dr. Joseph to determine which of our services is right for you. With functional medicine, regenerative medicine and physical medicine available, we have much to offer even the most chronic of cases. 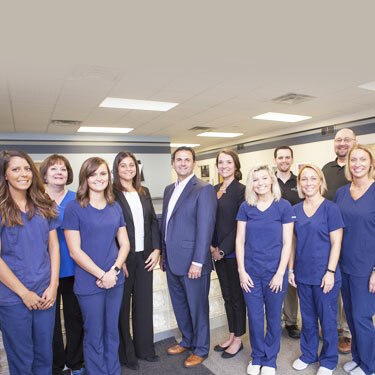 We’re dedicated to state-of-the-art care with constant training and ongoing continuing education, making sure that our patients have access to the most contemporary solutions on the market today. If you’d like to find out more about what we may be able to do for you, contact our team today! We’ll get you scheduled for a complimentary consultation. You’ll sit down with Dr. Dan to discuss your concerns and discover what we can offer you. Same-day appointments are available for those who would like immediate attention, and we offer convenient Saturday hours to suit your busy schedule. Contact us today!